For gamers who love mechanical keyboards but wish the keys were a little “faster,” your wish has been granted. 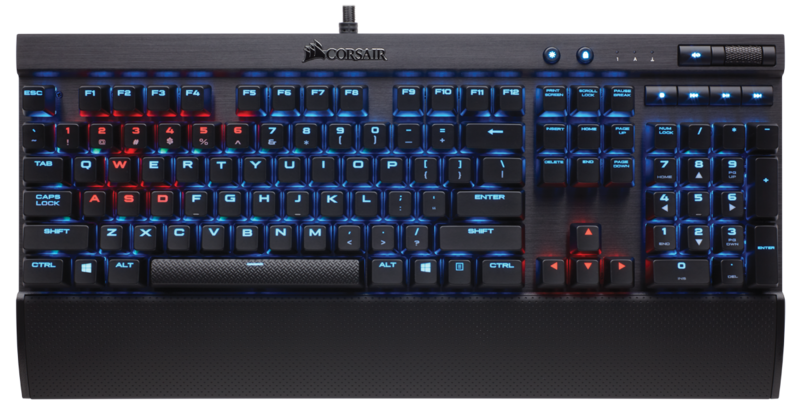 Corsair has just dropped three new keyboards using a new line of faster Cherry MX keys. The Corsair K70 RGB Rapidfire, K70 Rapidfire, and K65 RGB Rapidfire will feature Cherry MX Speed switches, which actuate at a 1.2mm distance compared to a standard Cherry MX switch at 2mm. Why this matters: You might want to dismiss this as silly but get three gamers in a room and within five minutes they’ll be discussing keyboard-switch preferences the way some people discuss their favorite brand of sneakers. 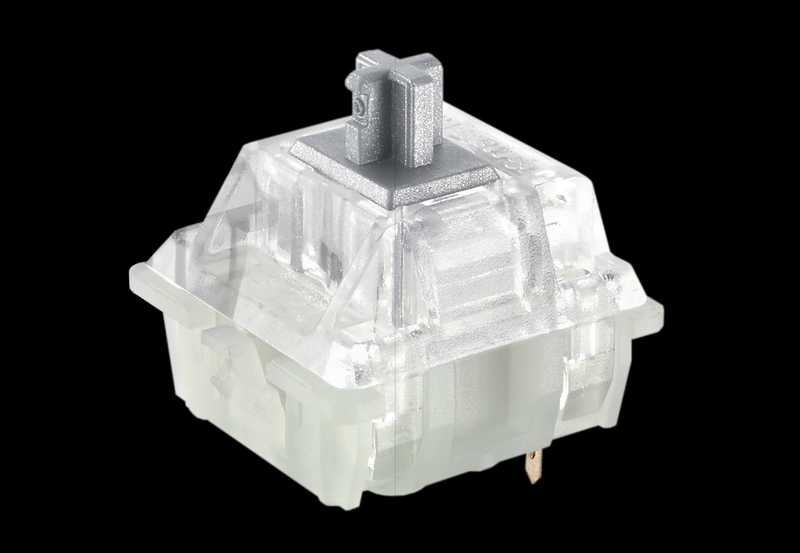 The new Cherry MX switch has an actuation point of just 1.2mm. In addition to the 1.2mm actuation point, the new Cherry MX Speed switches also feature a 45-gram switch force, the lightest force you can get in a Cherry MX switch. Theoretically, a reduced actuation point and reduced force render the Rapidfire series' keys easier to press and faster to respond. Besides the switches, Corsair made other changes to the keyboard lineup. The keyboard backlighting has been made brighter by increasing the size of the etched characters on the keys and moving their position closer to the underlying LEDs. More light is also reflected onto the base of the keyboard as well. Corsair also brings back a much-requested feature by adding a USB port pass-through on the back. The K70 RGB Rapidfire is expected to sell for $170 and the K65 RGB Rapidfire for $140. And if you just aren’t into the per-key RGB lighting, you can opt for the K70 Rapidfire for $130. It’s backlit, you just can't customize the color for each individual key. 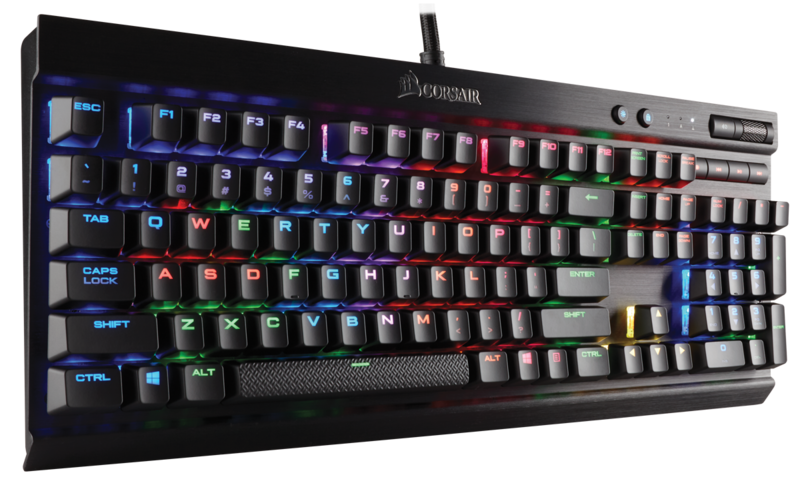 The Corsair K70 RGB features a redesign to make the backlighting brighter, too. Does all this really make a difference? I can personally attest to the pleasure of using a Cherry MX keyboard. I’ve tried alternatives for months on end, and my fingers are always overjoyed to come back to Cherry MX keys. But that’s for typing, which I do an awful lot of for a living. The bigger question is whether these tweaks can make me a better player? My opinion is no. I could play a game on this, or a competing brand of switches, or even a domed switch, and it wouldn’t make a difference. That’s because I’m an old, sucky gamer. For me to say I want Cherry MX Red or MX Speed for gaming is the same fantasy Nike uses to sell shoes. If I buy the shoes Steph Curry wears, it'll up my game. No, it won’t. But, for a competitive gamer who takes every millisecond of response time seriously, keyboard nuances do matter. For these people, a non-optimized keyboard is akin to putting Lebron James on court in dress shoes. His performance will suffer—but he’ll still romp all the rest of us, while simultaneously texting. Expect a full review of the Corsair K70 RGB Rapidfire soon. The K70 Rapidfire features lighting, just not per key.